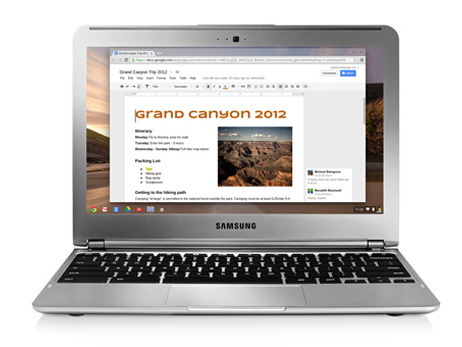 The Samsung new Chromebook actually comes in two different models: one with an 11.6-in. display, like its predecessor, and one that packs a larger 13.3-in. screen. Both models will go on sale sometime in April 2014; the 11-in. system will cost $320 while the 13-in. device will run $400. As we are talking about the new Chromebook, we have to talk about the 10 things you need to know about it. 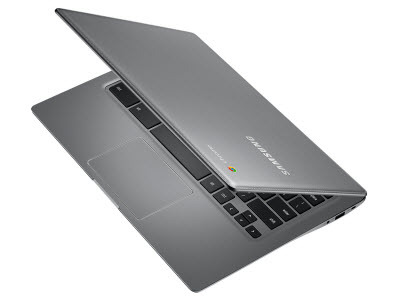 Samsung Chromebook 2 adopts Chrome Operating System, which is developed on the base of Linux. 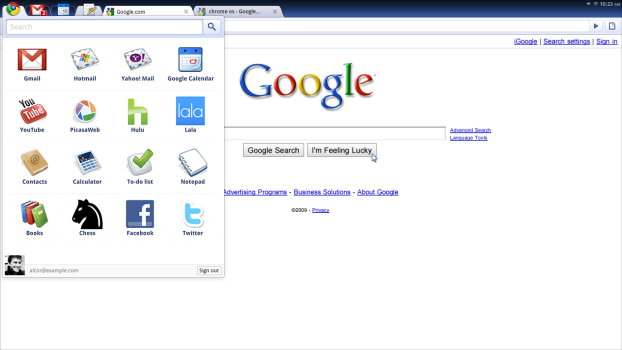 The Chrome OS is quite different from Microsoft Windows, Mac OSX or Linux. It looks like a web browser. You have to log in with Google account and all of the applications are web applications which will be opened in a tab of the browser. If you have ever used Google Chrome, you must know what I am talking about. Chrome OS is specially designed for Netbooks and all of the data will be preserved in the server. Thus the requirment for local hardware is not as strict as that for other conventional OS, so it only takes 7 seconds to boot the Chromebook, which is much faster. 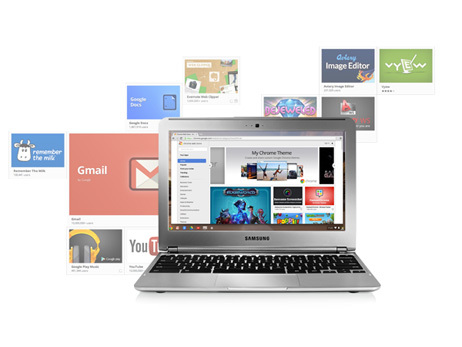 All Chromebook 2 systems ship with a "productivity software package" that includes three apps. Samsung says the package is "valued at more than $100,". The first is the inclusion of AirDroid, an Android management app that also includes desktop SMS, sharing files and media between your phone and your laptop, and tools for locating or remote wiping a lost Android phone. AirDroid's premium version also includes multiple device support (up to six devices), support for large file sizes, and remote camera capability. While a free version of AirDroid is available for anyone to download and use, Samsung is bundling the new Chromebook 2 models with AirDroid's premium features for one-year (normally $19.99). A second app, Wunderlist Pro, also comes with a free year of premium service. Wunderlist is a to-do list manager that includes the ability to sync and share lists across multiple devices, share lists with family members and colleagues, and the premium Pro version includes other features, such as unlimited subtasks, file attachments, and the ability to assign tasks. The third App is an English-learning app for multilingual students called Little Bridge. The 11-in. Chromebook 2 promises a full 8 hours of battery life per charge while the larger 13-in. model is listed for 8.5 hours. According to Samsung, the processor squeezes as much battery life as possible out of the Chromebook 2 by using two low-voltage cores for general futzing around on the Web, and higher-voltage cores for processor-intensive tasks and full-HD movies. Samsung is also continuing its strong push for Chromebooks in education and business. Samsung has already evidently seen a lot of success with its current Chromebook. The Chromebooks are used in more than 4,000 schools across the United States, and a reported 19 percent market share in K-12. The Chromebook 2 11-inch will be available for education (available in black only), while the Chromebook 2 13-inch is expected to appeal to businesses for use as a Web-based thin-client. The devices will be launching simultaneously for education, enterprise, and consumer sales, though, so they should be pretty easy to find. In fact, Computer Science can be both intersting and effective, instead of being complicated. Google offers a full suite of products and services to help you achieve this goal. 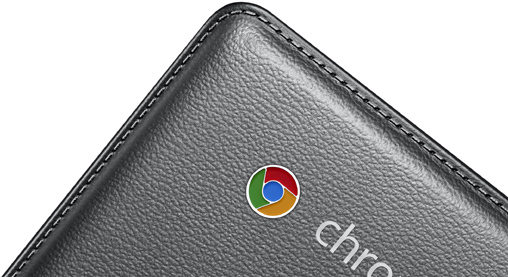 Even if you are not an Android user, you can also see the value in the new Chromebook. From the availability, price and compatibility perspectives, you are rarely able to find another product wihch can be compared with the Samsung Chromebook 2. How to Play iTunes Movie on Xbox One? How to Keep iTunes Rental Movies Forever?